At least 5840 Palestinians, including children, women and elderly, have been injured. The casualties listed below are victims of Israeli military attacks on Gaza. As more are pulled from the rubble of their homes, the count will increase dramatically. 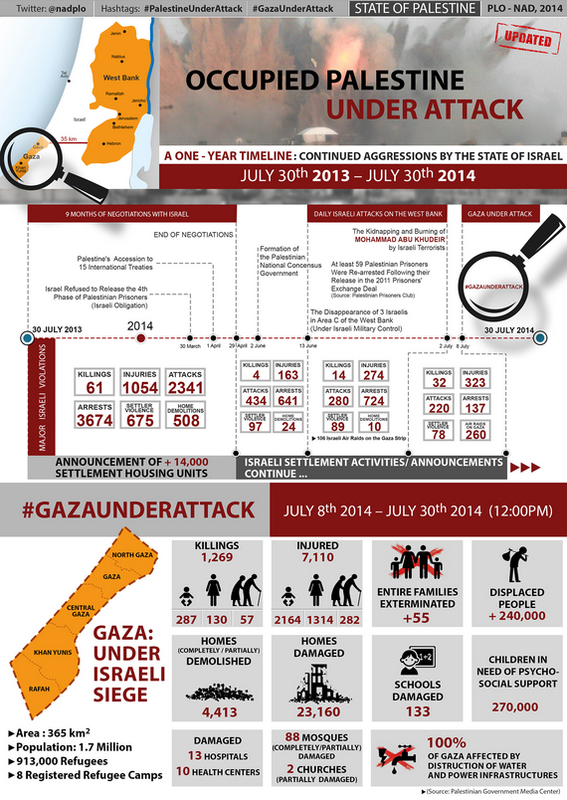 A running list of the savage butchery of the genocidal war on Gaza is here, updated daily. 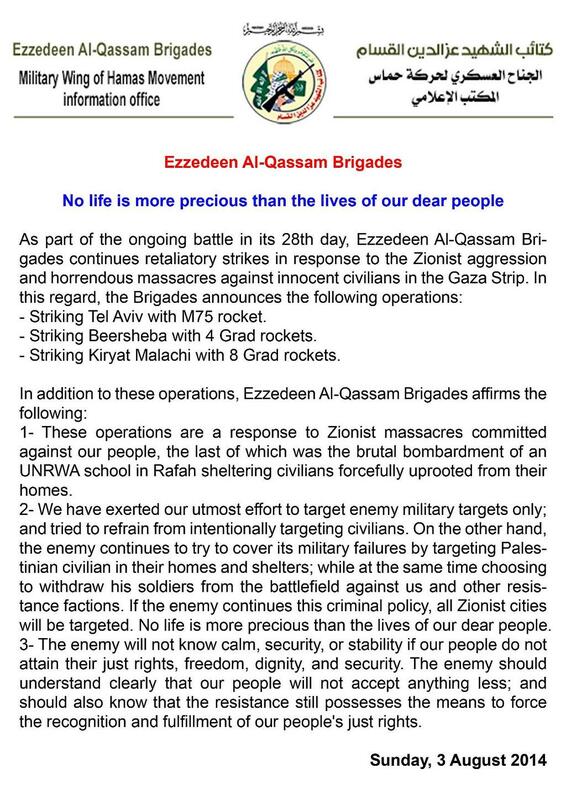 Even during the “humanitarian ceasefire” on 27July, many Palestinians died. Some died due to complication of wounds received in the onslaught because Israel has specifically targeted the healthcare system in Gaza and the siege has depleted the system of necessary supplies and assistance. Ministry of Health numbers, although not all of the names yet released. These are the names that have been confirmed by medical sources in Gaza. Over 5.400 have been injured, with some losing limbs and others disabled for life. The majority of the wounded are children, according to the Ministry of Health. All of the casualties listed below are victims of Israeli bombs dropped on Gaza. The running list is updated daily here. Israel is having a problem in this latest genocidal project on Gaza. It’s quite frustrated in fact. There were already some international reporters in Gaza, it made others sign a waiver before committing the massacre of Shujaiya, then denied entry to anyone else. But there are social media, and anyone can snap photos on their mobile, or short videos, and they go around the world in an instant. Graphic evidence of the Jewish military state’s war crimes aren’t going over too well with the good people of the world. No matter how much hasbara (Israeli propaganda) its trained and paid students put out online, no matter how nicely scripted the speeches at the UN or on American television are or how often its talking points are repeated, they cannot counteract the visceral reaction good people have to seeing homes demolished: a little doll in what is left of a pink bedroom; or dead women and children: some of whom were systematically gunned down in the street by Jewish snipers and the tanks as they fled. Right now, Israel hates Twitter and Facebook. Before, it could rely on several factors to control the ‘narrative’ and what the Americans and other Westerners were told and shown: the majority of media outlets, television and newspapers in particular, are owned by Jews. They, of course, want to protect the tribe and are typically more loyal to Israel than their own birth nation. So editorial lines are made clear to staff: minimise images of suffering of Palestinians and paint them as ‘terrorists’ or backwards barbarians that want to kill all Jews, and pound home the Israeli narrative that it is the victim and is forced to kill Palestinian babies to protect the Jews in Israel. Any staff deviating from that propaganda and reporting honestly is swiftly curtailed and either reassigned or sacked. This has occurred twice in the latest war on Gaza thus far, and thanks to social media it was known by millions in a matter of minutes. But like the blatant Jewish censorship and lack of journalistic ethics was known so quickly, so are the horrendous massacres committed in Gaza by the Jewish military state. The war crimes of not allowing ICRC and medics into these scenes are also known instantly. Medics and ambulances picked off by tanks and snipers are known instantly. Videos and still images of bodies in the streets of civilians that were slaughtered as they fled, the young man who was searching with other rescuers and was murdered by a Jewish sniper are instantly broadcast worldwide. And the neither Jewish military state, nor the Jewish-owned and dominated media can control it. It no longer has control of the ‘narrative.’ In fact, Twitter and Facebook are now deemed an “enemy” of Israel, said one Jewish author in a Jewish publication the Forward . That is striking in its admission and implications. Over the last 16 days, Israel has intentionally targeted and destroyed civil infrastructure: water and sewage treatment facilities, schools, and more: it targeted the power grid. Over 13 power lines were intentionally taken down, cutting Gaza off from power supply from Egypt. And arch ethno-supremacist Talmudist MK Moshe Feiglin called, in the parliament, to cut off all electricity in Gaza, so dialysis patients there would die. Several days later, Israel did just that. And then it purposefully bombed the other power plant that was limping along and only able to provide electricity for 4 hours per day. Now? Then the Jewish military state targeted the mobile network. Consider this carefully: power grid and mobile network. How will the international journalists report? How will they recharge their batteries? How will they or citizens in Gaza ‘tweet’? That is the entire point. To remove the ability of reporters to report on the atrocities being committed in Gaza. To remove the powerful on-the-ground and current reporting on social networks by those who are there. Israel wants to silence those voices and regain control of the ‘narrative’ because it doesn’t control social media,and because it is losing the war, both militarily and in ‘hearts and minds’ of the world. These are the names that have been confirmed by medical sources in Gaza. Over 3100 have been injured, including 657 children and 408 women, with some losing limbs and others disabled for life. The majority of the wounded are children, according to the Ministry of Health. All of the casualties listed below are victims of Israeli bombs dropped on Gaza. Running list of all killed by the Jewish military state is here, updated daily. 38. Mayar al- Yazeji, 2, Gaza. 39. Anas al- Yazeji, 5, Gaza. 42. Rahma Ahmad Jundiyya, 50. 43. Mohammad Mahmoud al-Maghrebi, 24. 44. Ibrahim Sha’ban Bakron, 37. In the infamous 2009 ” Cast Lead” the Jewish military state used white phosphorous over an area with many civilians, as a weapon (and not ‘illumination’ as it claimed) causing horrific injuries. It has been reported and confirmed that it has used this again, as well as sarin. In addition, health officials and foreign health workers have state unequivocally that the Jewish military state is using the banned DIME weapons on Gaza. There have been reports for several days that flechette shells have been used as well, which seems to correspond to the photos of explosions over Gaza and some of the peculiar injuries. WAFA HOSPITAL IS UNDER RAID NOW! "@iFalasteen: NOW: heavy clashes on the border east of KhanYounes between Israeli soldiers and Palestinian resistance… #GazaUnderAttack"
So Journalists and other won’t see what Jewish military is doing, how convenient! How can you see slaughtered children when the street lights are out? How can Gazans and journalists cover stories and events when their batteries die and cannot be recharged? This is not an accident. The lines from the East and from the South being disabled to ensure that they cannot adequately be repaired (due to constant bombardment) or re-routed. Rowan Berkley calls it like it is. It has nothing whatsoever to do with “security” – it has to do with Jewish revenge. The Israeli regime has ordered its military to mobilize 40,000 troops for a possible ground incursion into the Gaza Strip. Media reports say the decision was made during a cabinet meeting on Tuesday. 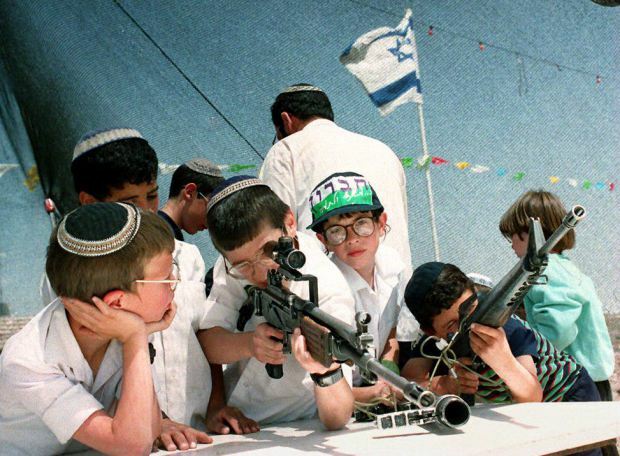 Palestinian children and adults are targeted by violent Jewish settler colonists, with no recourse, since Israel and Jewry tacitly approve of this violence, because of course, the Talmud teaches that Gentiles aren’t really human and their property, money and lives are there for the taking. Many Palestinians are resigned to a reality without safety for their children.